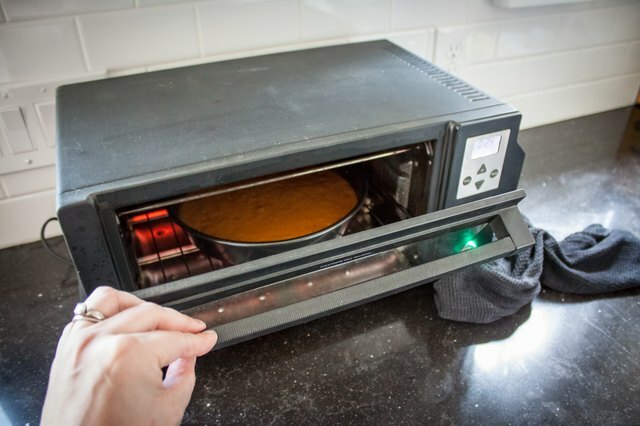 Toaster ovens are ubiquitous occupiers of space on kitchen counters and in dorm rooms, where they typically engage in nothing more challenging than heating frozen mini-pizzas. Still, when necessity dictates -- or when it's just too hot to use your main oven -- even minimalist toaster ovens are capable of turning out a cake or other baked goods. You'll just need to make a few adjustments to compensate for their unconventional anatomy. 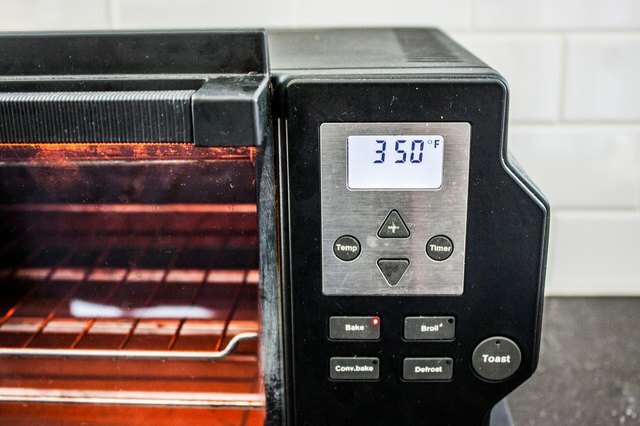 Set your toaster oven to 350 degrees Fahrenheit and let it preheat for 10 minutes. 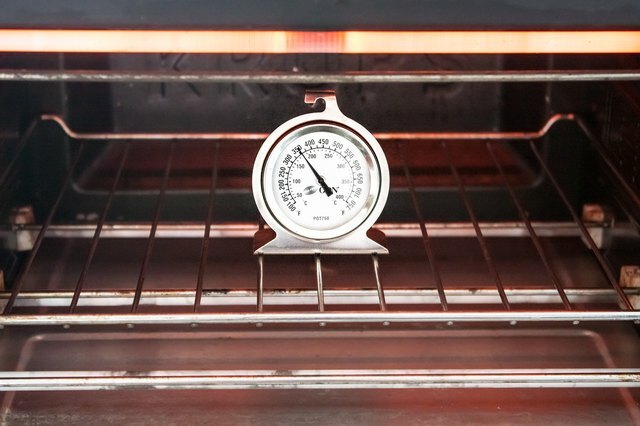 Place an oven thermometer in the middle of the rack, then allow 5 minutes for the oven to recover from the lost heat. Note your oven's real temperature; then adjust its thermostat as needed until the oven thermometer shows the correct temperature. 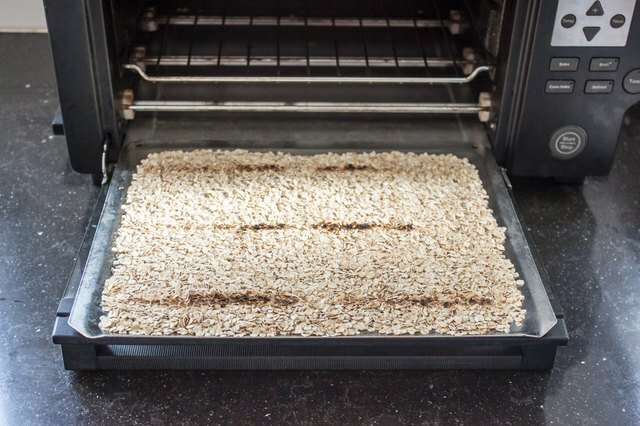 Fill the toaster oven's broiler pan with breadcrumbs or oatmeal, spreading them in one thin, even layer. Slide the pan into your toaster oven and observe how the crumbs brown. 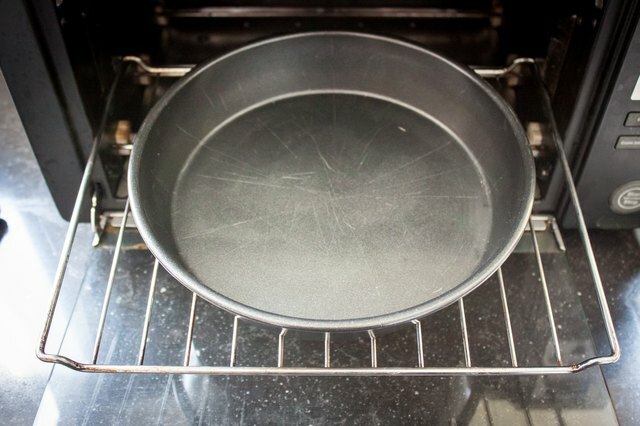 If your oven has significant "hot spots" that cause some areas to brown much more quickly than others, you'll need to be conscious of those when you bake your cake. Select one or more pans that will fit into your toaster oven. Even the smallest will accommodate a standard 8-inch round pan, and modern ovens with a curved "pizza back" will comfortably fit a 9-inch pan. 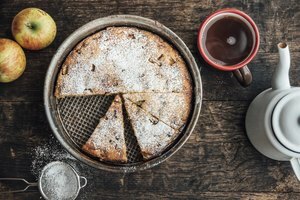 Many cookware manufacturers offer a scaled-down 8-by-10-inch cake pan that will fit almost any toaster oven. 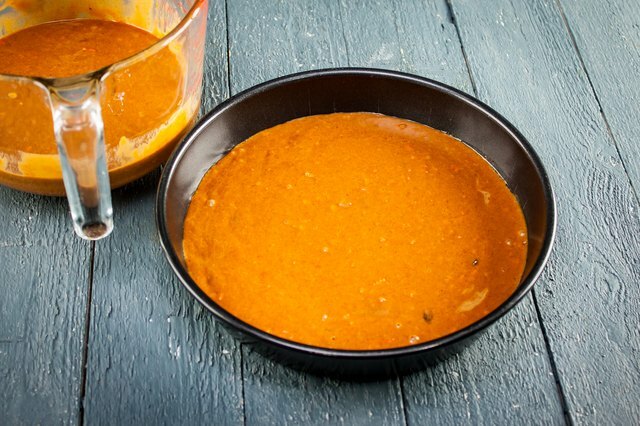 Compare your recipe's batch size to the pans that fit your toaster oven. For example, a recipe making two standard 2-inch layers in 8-inch round pans totals roughly 12 cups of batter. It's best to make your layers thinner in a toaster oven, no more than 1 1/2 inches, which reduces the pans from 6 cups each to 4 cups. In other words, you'd bake three layers rather than two to use up the entire 12 cups. 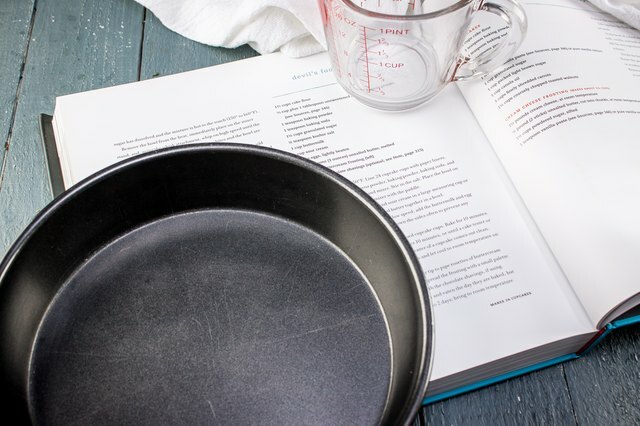 Measure the capacity of your pans with water if you can't find them in a pan-size chart. 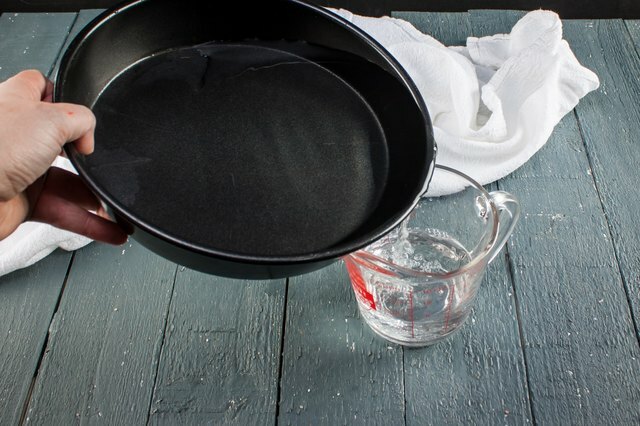 Fill your pan to approximately 2/3 of its depth with water; then pour the water into a measuring cup. For example, an 8-by-10-inch rectangular pan might hold 8 cups of batter. If your recipe makes 12 cups, you'd have enough left over for an 8-inch round as well. Preheat your oven again to 350 F, for 10 minutes. Grease your pan or line it with parchment, as you normally would, and fill it 2/3s with batter. Slide your pan into the toaster oven, opening the door as briefly as possible and shutting it immediately to prevent heat loss. 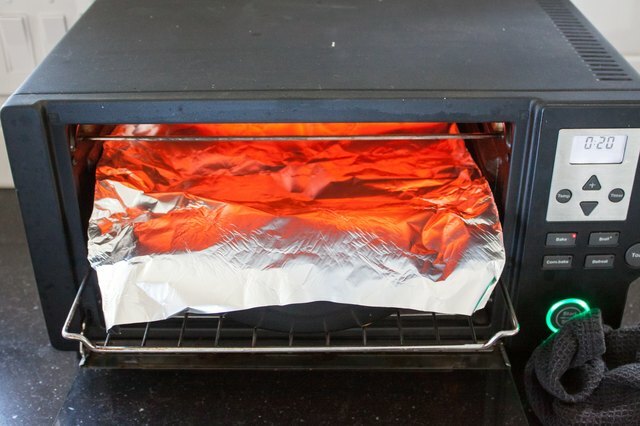 Fold a small sheet of aluminum foil to fit the dimensions of your toaster oven, and spray one side of it with non-stick cooking spray. Midway through your layer's baking time, when the top is fully set, open the oven and cover the cake loosely with the foil. 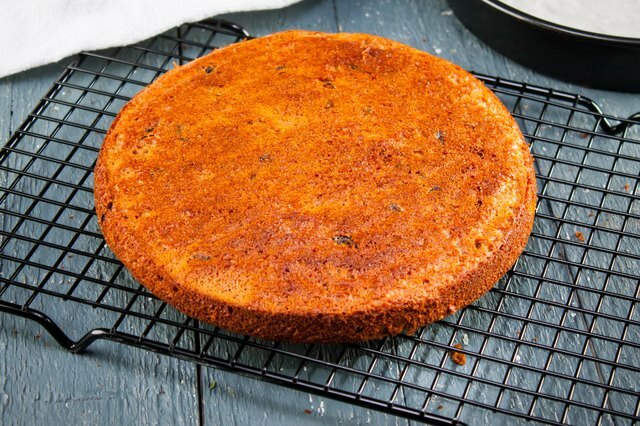 Rotate the cake 180 degrees as well to minimize the risk of uneven baking. Remove the cake when a cake-tester inserted into the middle comes out clean, or when it's firm and springy at the middle and beginning to pull away from your pan at the edges. 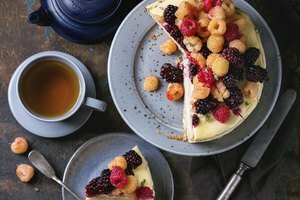 Let the cake cool in its pan for several minutes, or as directed in your recipe; then turn it out onto a wire rack to cool. Repeat with your remaining batter, if applicable, until all the layers are baked. 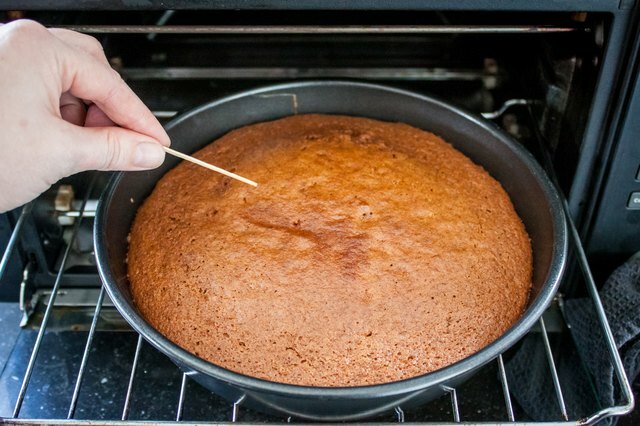 If you don't have an oven thermometer, you'll need to watch the cake closely once it's in the oven. If it appears to be rising too quickly or too slowly, or browning too rapidly, adjust the thermostat up or down accordingly. 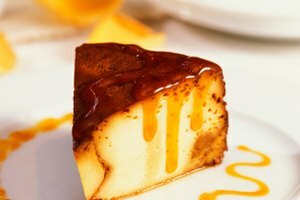 A toaster oven's heating elements are just a few inches from the surface of your batter, so it tends to brown your cake more quickly than a conventional oven. Making your layers thinner counters this, helping the cake bake completely without forming a hard crust at the top. Chocolate cakes are especially prone to scorching, and the close proximity of your toaster oven's elements increases that risk. For chocolate cakes and any others with quick-browning ingredients, it's often helpful to reduce the recipe's specified temperature by 25 degrees Fahrenheit. 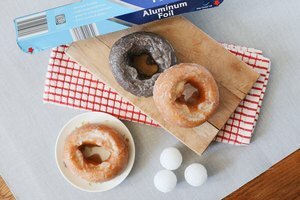 Refrigerate any unused batter, while your first layer of cake bakes. 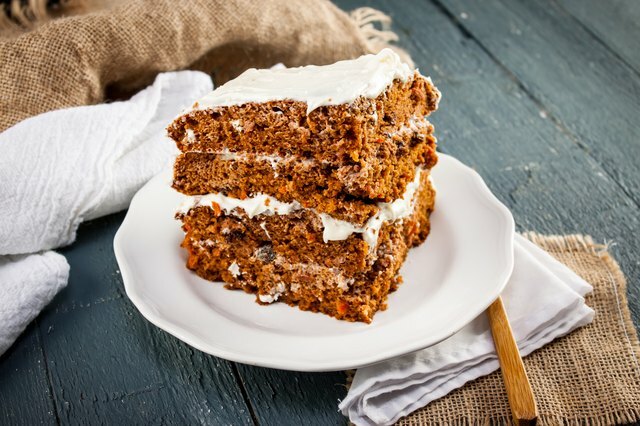 Each successive layer will enjoy slightly less leavening power from its baking powder, and keeping the batter chilled will minimize that loss of height. Toaster-oven bakeware often comes with recipes scaled to the size of the pan, and you can find more by prowling the Internet and the shelves of your favorite bookstores. These scaled-down pans are ideal for small households, once you've adjusted to the quirks of toaster-oven baking.